We prepare every dish on our menu using the finest available ingredients to bring out truly unique flavours. Due to our exacting standards, Willoughby & Co. kindly ask that you do not request any changes to each carefully crafted dish out of respect for our renowned culinary approach. Whilst we strive to ensure that all dishes ordered arrive at your table simultaneously, this is simply not alway possible as we have a number of dedicated kitchens. So we advise you to start enjoying your food as soon as it arrives. A wide variety of fresh seafood and salad items are available at the deli for you to select from. *Price per 100g. Juicy natal baby prawned tossed in a marie rose sause served on a bed of créme fraiche. Slices of smoked salmon served on a bed of mixed lettuce, with herbed crème fraiche. 6 Fresh local oysters served on a bed of ice with lemon wedges. Original recipe, born in the USA. Contains pork. Fresh mussels steamed in our tomato soup, hearty and warming. Simple and savoury, this popular Japanese soup is made with soya bean paste, tofu seaweed and a sprinkling of fresh spring onions. Tomato, cucumber, lettuce and spring onion with red, yellow and green peppers, tossed with our home-made French dressing. Same as the above, with feta cheese and black olives. French salad served with blue cheese crumbs and our special home-made creamy roquefort dressing. mediterranean style salad of chunky sliced cucumber, tomato wedges, spring onions, red peppers, olives and feta, seasoned with orgeanum and extra virgin olive oil. classic Italian salad of fresh, mediterranean tomatoes, buffalo milk mozzarella chees and avocado. Linguine pasta topped with prawn in a light creamy tomato sauce flavoured with a hint of chilli. Tomato based with a lovely mixture of fresh seafood mussels, prawns, line fish and calamari. All prawn are grilled. King, Tiger medium and Tiger giants can be grilled on the coals 'Portuguese Style', sprinkled with coarse rock salt and chilli. with your choice of one of our delicious sauces, lemon/garlic butter or hot peri-peri sauce. We endeavor to have these live and fresh. 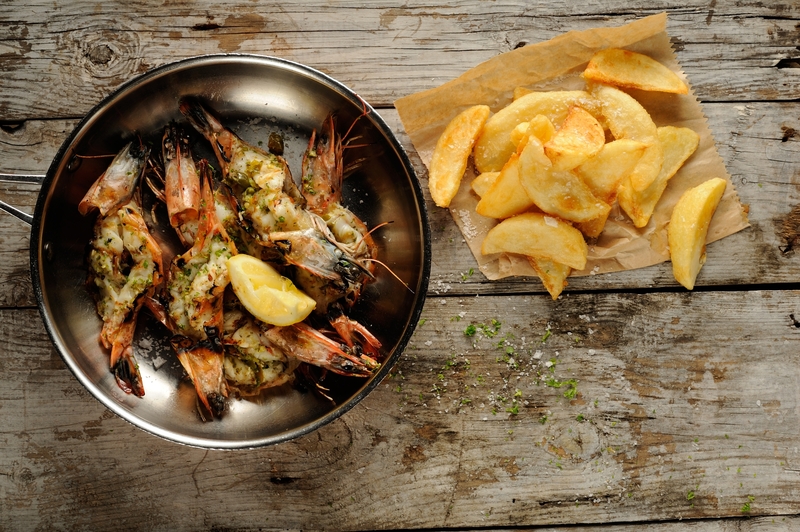 fresh from the Mozambican coast line, famous for its delicious shellfish, also butterflied, lightly grilled or steamed. Price per kg. Seafood platter of local crayfish, prawn, sole, linefish, mussels and calamari. Enough of the above for two. Our show stopping selection of the finest prawn, langoustines and a whole crayfish. Open sandwich on seeded health bread with chunky cottage cheese and smoked salmon. Three home-made hake fish cakes. Three home-made spicy salmon fish cakes drizzled with dill mayonaise. Traditional cape malay style pickled fish, cooked with aromatic, curry spices - the real thing, just like grandma made it. Delicate, white fish sourced from the east coast, lightly grilled with fresh herbs and olive oil. Fresh hake fillet, deep-fried in a light crispy batter and served with hand cut chips. Please ask your waiter for today's catch. Local white fleshed fish, mild and delicious, lightly grilled with fresh herbs and olive oil. Two skewers grilled on the coals with a roasted red pepper sauce. Pink salmon fillet lightly grilled or poached. Linefish fillets, slowly cooked in a mild, fragrant green thai or cape malay curry, served on a bed of rice or noodles. Headless juicy prawn cooked in your choice of a fruity cape malay or fragrant thai green curry, served on a bed of rice or noodles. deep-fried or grilled with your choice of sicilian, cape malay or green thai curry sauce or dusted with real cajaun spices. Moules mariniere steamed in the traditional belgium way served with frites. 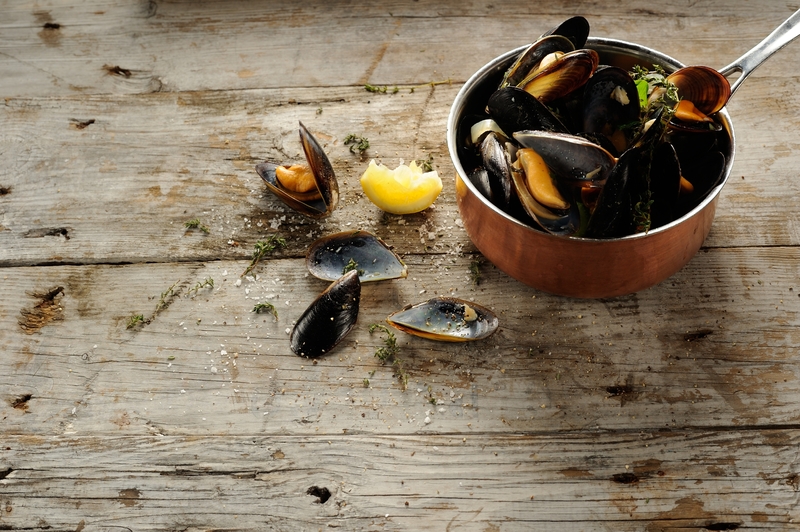 Moules can alternatively be served with your choice of creamy, cape malay or green thai curry sauce. 4 Pieces grilled sushi rice topped with hot & spicy salmon or chopped, steamed prawn in spicy mayo. Thinly sliced salmon drizzled with spicy jalapeno ponzu dressing, served on a bed of salad leaves with chopped spring onion and ginger. Seared spicy tuna with tangy peanut dressing. 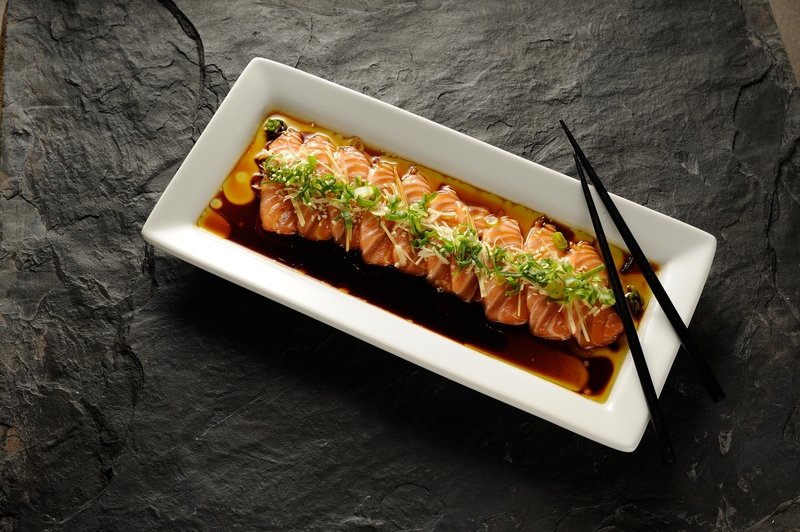 Thinly sliced fish topped with sliced garlic, ginger, chive and sesame seeds, drizzled with yuzu soya dressing. Seared and thinly sliced black pepper beef fillet, topped with crispy garlic and spring onion and drizzled with a spicy garlic dressing. Fresh oyster drenched in a shot of sake and a dash of ponzu sauce, topped with spring onion, seaweed, caviar and quail egg. a Seafood mix of salmon, prawn, crab and mixed vegetables wrapped in seaweed and cucumber sheets, topped with mayo and caviar. Chopped and steamed prawn, mixed with 7 spice, spring onion and mayo. served on inari sushi. Sushi rice and avocado wrapped in either salmon or tuna, topped with mayo and caviar. a Refreshing mix of shredded salad leaves, cucumber and seaweed with an eastern-inspired dressing. Cucumber and seaweed mixed with our special vinegar dressing. Mixed lettuce, avocado, cucumber, seaweed and crispy rice noodles, with a special peanut dressing. Mock crab, lettuce and cucumber with a tangy japanese mayo dressing. White fish marinated with lime juice, coriander and fresh chilli, served with mixed peppers, cucumber and chopped spring onion. Sticky teriyaki chicken served on lettuce, shredded cucumber and carrots with a special vinegar dressing. With mixed lettuce & spicy creamy sauce. Rock shrimp tempura with a honey and wasabi creamy sauce. Marinated and blackened in the salamander, with a special miso sauce and vegetable yakitori . 200g of grilled beef fillet, smothered in a special ginger sauce, served with sweet potato and a vegetable skewer. 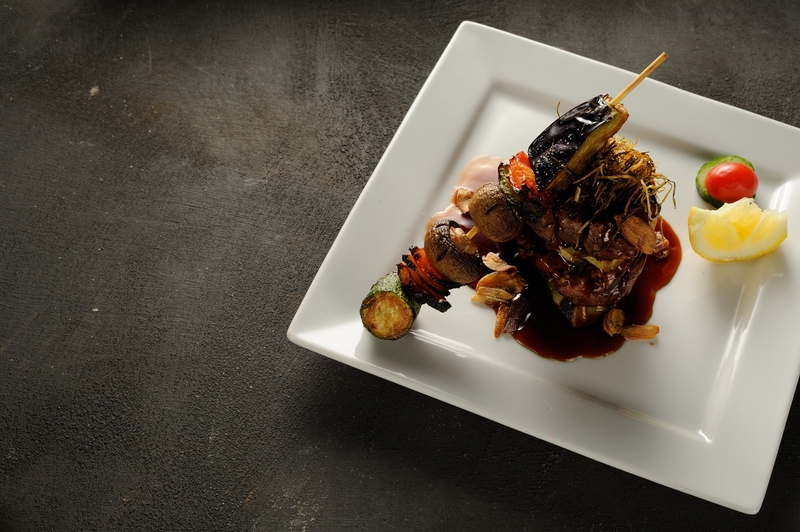 Tender beef fillet drizzled with teriyaki sauce, served with sweet potato and vegetable yakitori. 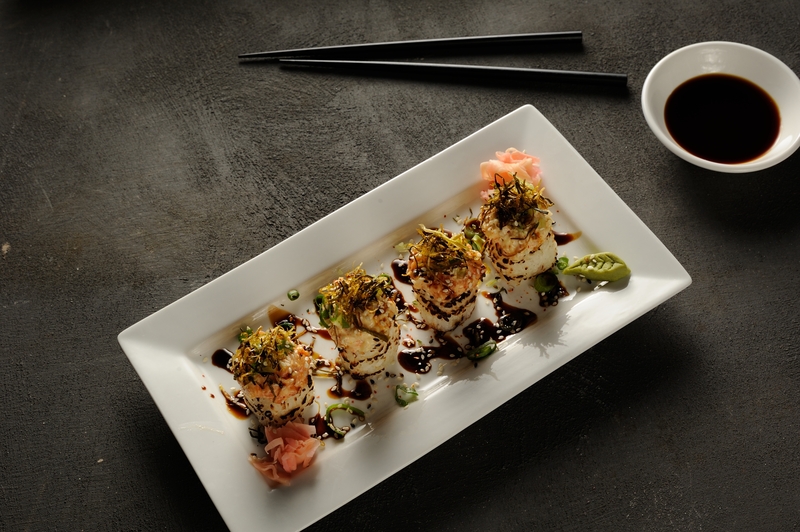 Crispy on the outside, soft on the inside, this delicious dish is served with a spicy ponzu sauce . Tempura fried white fish, served with our delicious sweet and sour sauce, steamed rice and vegetable yakitori. Grilled deboned chicken thighs with sticky teriyaki marinade, served with steamed rice and vegetables yakitori. Stir fried with grilled chicken or grilled prawn, mixed vegetables and special sauce. Hot udon or soba noodles in a light vegetable broth. Traditional japanese pot dish with seafood, chicken and egg. Chicken, bean sprouts and vegetables with ramen noodles in a miso flavoured broth. Teriyaki chicken and vegetables with ramen noodles in a miso falvoured broth. Prawn, water chestnut, baby spinach and spring onion dumpling with a dipping sauce. a wonderful selection of hot & cold signature dishes. Steamed soya beans sprinkled with sea salt. a Traditional japanese deep fried tofu dish served with dashi-based sauce and topped with chopped spring onion and bonito flakes. Soya bean paste soup with tofu, seaweed and chopped spring onion. Popular hot and sour soup with prawn, calamari, button mushrooms, tomatos and fragrant coriander. Deboned chicken thigh grilled on a skewer served with a yakitori sauce. Beef fillet grilled on a skewer with spicy miso sauce. Mixed vegetable grilled on a skewer with a yakitori sauce. Tempura prawn, white fish, scallops and seasonal vegetables served with special dipping sauce. Mixed tempura seasonal vegetables served with a special dipping sauce. Tempura prawn served with a special dipping sauce. Tempura prawn and seasonal vegetables topped on rice - with tempura sauce. 2 Ebi tempura served with light vegetable broth containing udon or soba noodles. seared tuna with chilli mayo. Salmon and avocado inside wrapped in salmon and tuna, topped with mayo, caviar and sesame seeds. Spicy tuna inside wrapped with tuna and avocado, topped with chopped spring onion, 7-spice and sesame oil, sprinkled with sesame seeds. Crispy soft shell crab wrapped with soya bean paper, served with ponzu sauce and sprinkled with sesame seed. Salmon and avocado roll topped with spicy, crunchy salmon tartar. Tempura prawn roll wrapped in avocado and grenaded. sashimi - 3pc linefish, 3pc tuna, 2 salmon. Home-made vanilla ice-cream infused with pistachio nut halva. Rich brownie made with delicious dark lindt chocolate and hazelnuts. 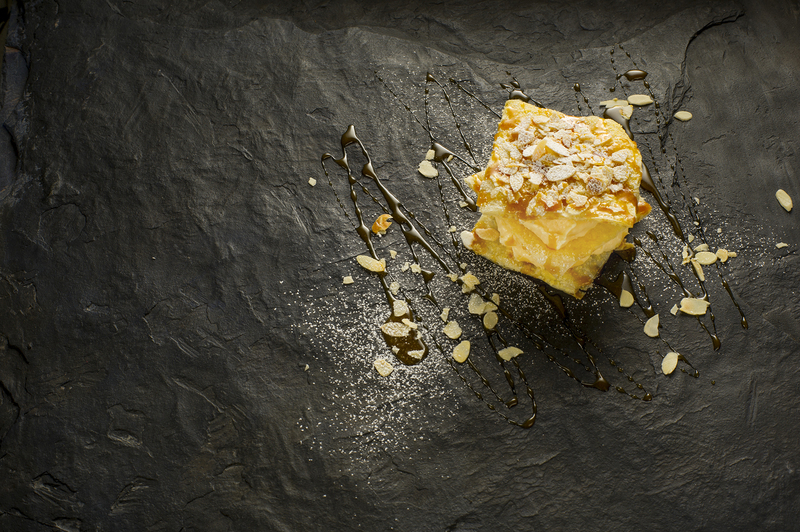 Traditional south african sweet baked pudding, served warm with custard.